Organization in the kitchen, closet, office, garage wherever is fundamental to staying sane as a parent! The never-ending flow of clothes, gear, sporting and other equipment that get recycled, reshuffled, or discarded can become overwhelming unless you have a process and plan in place. 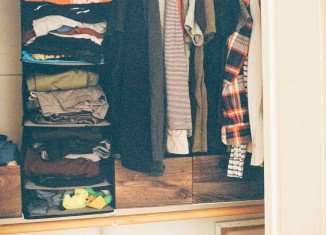 In the first of a four-part series, Christa Harbridge, organization expert and founder of My Living Organized (www.mylivingorganized.com) offers some fabulous tips to help you wade through all that stuff and survive! 1. Avoid the All-Season Syndrome! Unless you have a very large closet that can comfortably accommodate every article of clothing your child has, remove the off-season stuff to let the in-season stuff breathe! Arrange the seasons into 2 rotations: Spring/Summer and Fall/Winter. If 2 seasons don’t comfortably fit in the closet, you will need to strap yourself in for the 4 season rotation. The dreaded necessary evil. Whether it’s for yourself or your children, most of us avoid the seasonal purge more often than refraining from wearing white after labour day! With every new seasonal rotation, force yourself to do a purge. Helpful tips and tricks for the purging process will be mentioned in Part 2 of this series. Kids closets often become a “dumping ground” for clean clothes, dirty clothes, toys, sports gear, blankets, last week’s pizza and a whole bunch of other random (often frightening) things. Use premium closet space for clothing; any additional space can then be used for additional items…in an organized fashion. Separate the toy storage vs. clothes storage. Designate “homes” for each grouping of “like” items. Toy bins and baskets of various sizes are a great way to help kids stay organized. Just designate the space. The enforcement of proper utilization of these spaces is up to you. 4) Use your space wisely. Don’t over-utilize or under-utilize the dresser. Sometimes getting a larger dresser is helpful. If your hanging space is over-flowing, look for opportunities to fold and store things like shorts, sports uniforms and anything that really doesn’t need to be on hangers. 5) Get control of the laundry. Putting a hamper in their room rather than down the hall makes it more likely that the clothes will end up there. I suggest having 2 laundry hampers; one for socks and underwear, the other for everything else. Socks and underwear are washed in hot water, everything else in cold. If you can teach your children how to wash their own things, you won’t find yourself drowning in laundry any longer. We’ll have more tips and tricks on getting control of laundry in Part 4 of this series. 1. Installing a closet storage system that does not grow with a child. Adjustable rods and shelving are the best solution. Be sure to use adjustable shelves with safety mechanisms so your kids can’t accidentally pull the shelving out of the unit. The best utilization of closet space for hung items is multiple rows of clothing rods. Baby’s can have 4 rows of hanging rods; as they grow, remove one of the rods leaving you with 3 rows, eventually whittling down to a double-hang space. 2. Too much of one thing in a closet and not enough of another. For example too much shelving and not enough hanging rod. Determine which clothes are hang-up clothes and which are fold-up clothes. Sweaters that bend out of shape if hung should be folded. Pants and jeans can be folded or hung by the knee or waist depending on personal preference and available space. Making simple changes to the way you fold or hang items can create a lot of extra space in your closet. If your child is at the age where s/he is able to somewhat dress themselves, designing your closet so your child can reach at least one hanging rod, one shelf and some shoes will free up some of your time otherwise spent helping them get dressed in the morning. 1. Should closets for boys be arranged differently than closets for girls? Not particularly. The only gender-based difference is that girls will need a slightly longer hanging space for dresses. Everything else is dependent on the individual child based on the height of the child as well as how much hanging vs shelving space is needed to accommodate his / her belongings. Create an alternative storage space for your children’s off-season clothing as well as the clothing they will grow into. Under the bed storage containers, space bags and vertical wardrobe boxes are all excellent options depending on your space. Purge and ‘rotate’ seasonal clothing every Spring and Fall. Put all of the items you think will fit the next season into the storage bin/bag/box. If you “pass down” clothing to another child, place those items in another storage bin and mark it with the size of the contents. Shoes and hats would also be stored in this bin. Try keeping your children’s seasonal clothing down to 2 weeks-worth of clothes, or 2 washer-loads worth. If your child is under 14, you can purge a lot of the clothing they wore this season as they will very likely not be wearing the same size next season. Be selective though, for example snug summer t-shirts can still be worn under sweaters next Fall/Winter. If the clothing is in good shape, donate to charity or consignment.